New Delhi: State Bank of India’s (SBI) chairman said on Wednesday that putting Jet Airways into bankruptcy is the “last option” and that its lenders are making every effort to keep the airline flying. “We believe that it is in everybody’s interest that Jet Airways continues to fly,” SBI chairman Rajnish Kumar told reporters after a meeting with government officials, adding that placing Jet into bankruptcy would mean grounding the airline. Jet has racked up over $1 billion in debt, and owes money to banks, suppliers, pilots and lessors — some of whom have started terminating their lease deals with the carrier. The government has asked state-run banks to rescue Jet without pushing it into bankruptcy, two people within the administration have told Reuters as Prime Minister Narendra Modi seeks to avert thousands of job losses weeks before a general election. New Delhi has urged state-run banks, led by SBI, to convert debt into equity and take a stake in Jet, which would however be “transitory”, in a rare move in India to use taxpayer money to save a struggling private sector company. Kumar, however, said that any decision taken to rescue Jet is a commercial one and is not at the direction of the Indian government. 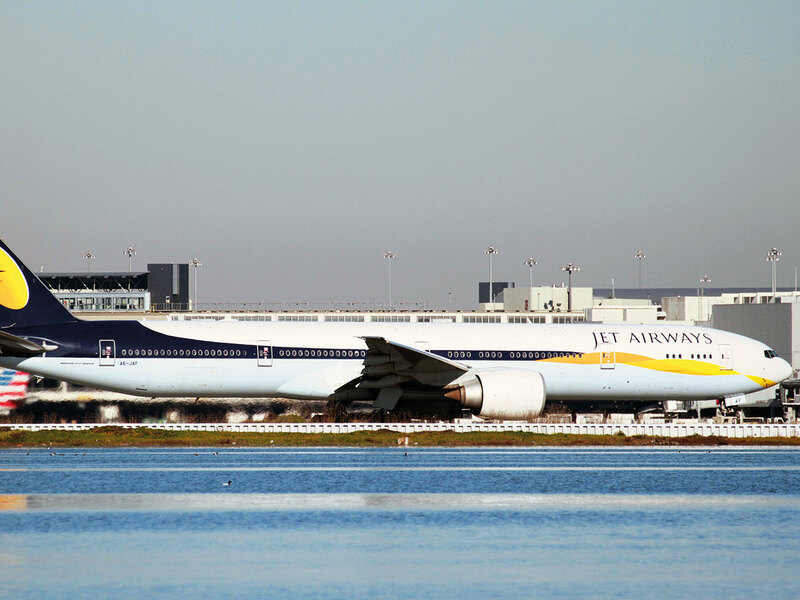 He was speaking after a meeting with officials from the prime minister’s office and finance and civil aviation ministries to discuss the rescue plan for Jet Airways. Talks with Abu Dhabi-based carrier Etihad, Jet’s largest shareholder, to secure a rescue deal are ongoing, the SBI chief said, adding that there is also the possibility of bringing in a new investor. Kumar said that a resolution plan is “almost” ready and that it would not involve a bailout for any individual or the airline’s founder Naresh Goyal. A spokesman for the opposition Congress party earlier on Wednesday held a press conference during which they alleged Modi’s ruling Bharatiya Janata Party (BJP) was using state-run banks like SBI to bailout a bankrupt, private airline. “On one hand, (the) Modi government is seeking to privatise Air India and on the other hand they are buying a bankrupt private airline with public money,” Randeep Singh Surjewala, a spokesman for the Congress party, said.